Since ancient ages, the Purulia district of West Bengal has been bestowed with the fortune of being extremely rich in heritage and culture. 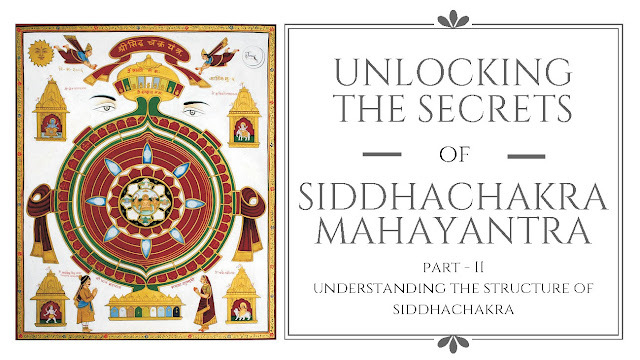 As mentioned in one of my previous blogs as well, the “Acharang Sutra”, states that Lord Mahavir visited a region known as Radh Pradesh shortly after Diksha, where he had to face numerous calamities. 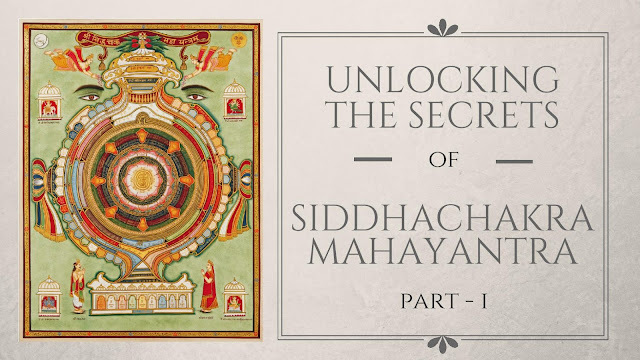 Also, in the “Bhagwati Sutra” it has been stated that Lord Mahavir spent many ‘Chaturmas’ in Panit Bhoomi, which is a portion of Radh Pradesh. As per Encyclopedia Britannica, thr geographical & historical indicators state that Radh Pradesh is a toponym for an area in the Indian subcontinent that lies between the Chota Nagpur Plateau on the West and the Ganges Delta on the East. Although the boundaries of the region have been defined differently according to various sources throughout history, today it is mainly coextensive with the state of West Bengal also comprising some portions of the state of Jharkhand and Bihar in India. Therefore, it is evident from the above facts that Lord Mahavir blessed this region in the 6th century BC. Further, between the 8th and 12th Centuries AD, many Jains, especially from northern and central India started trading by transporting their ships to Bay of Bengal via various rivers namely Damodar, Kangsabati, Dwarkeshvar, Subarnabaluka, Shilavati which flow through this region. As their networks spread, these traders evolved from mere trading to exporting various natural resources which were mined from this mineral rich region. Sankra/ Sankda – Ancient idols of Lord Parshwanath and Lord Shantinath excavated. 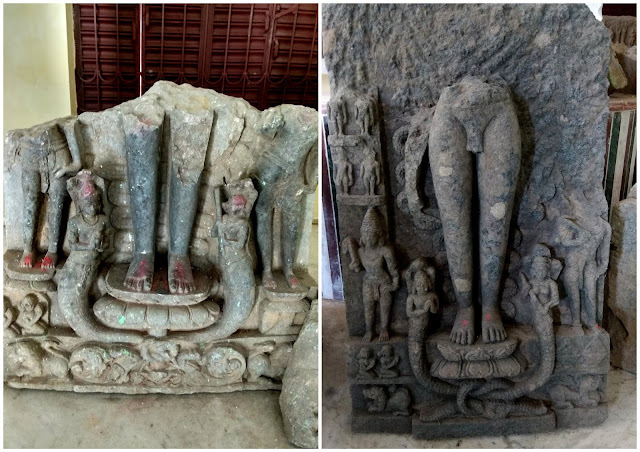 Anaijambad - Idols of Lord Adinath, Lord Parshwanath and Chandraprabhu bearing the mark of Pala era excavated. 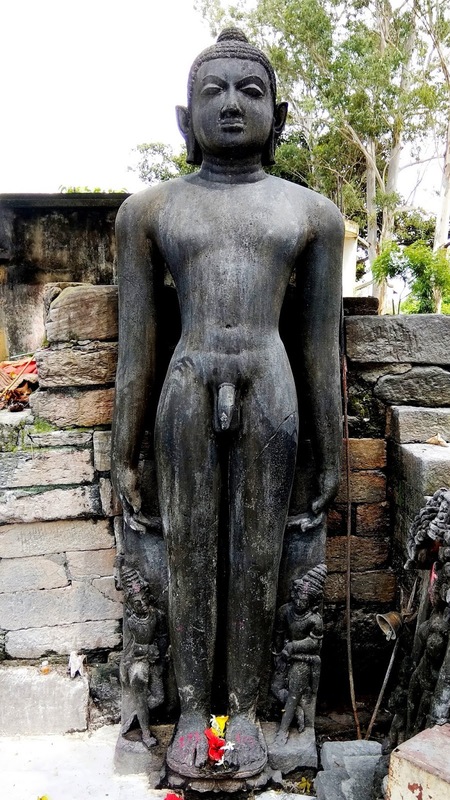 Sitalpur – Idol of Adinath Bhagwan Chovisi excavated which is worshipped as Bhairavji. Bali (animal sacrifice) is conducted in front of the idol on the Ashadh and Vaishakh Purnima. Bhangra village– Chaumukhi idol of Mahavir Swami, Lord Adinath and Chandraprabhu Swami excavated. Lakhara village– Idols of Lord Adinath (Chovisi) and Lord Chandraprabhu (Panchtirthi) excavated from a field. 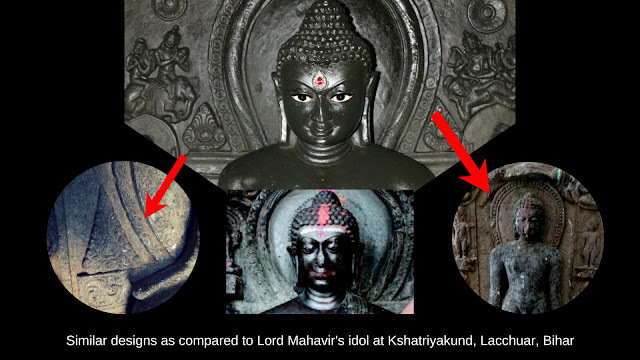 Dhadhki – Idols of Lord Adinath, Lord Shantinath and Lord Mahavir Swami excavated, which are worshipped as Kaal Bhairav. 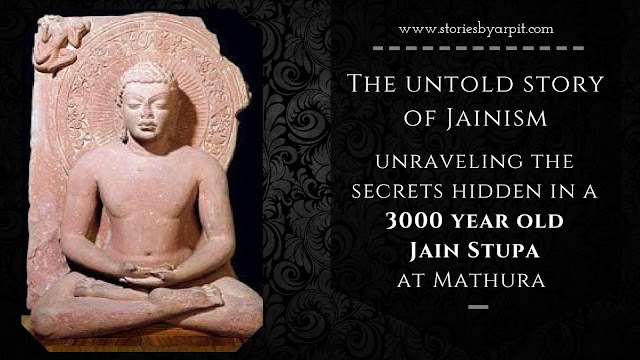 Lagara – 3 idols of Jain Tirthankars were excavated and placed in the local Kali Temple. However, many antique idols stolen in the past years from this region as well. 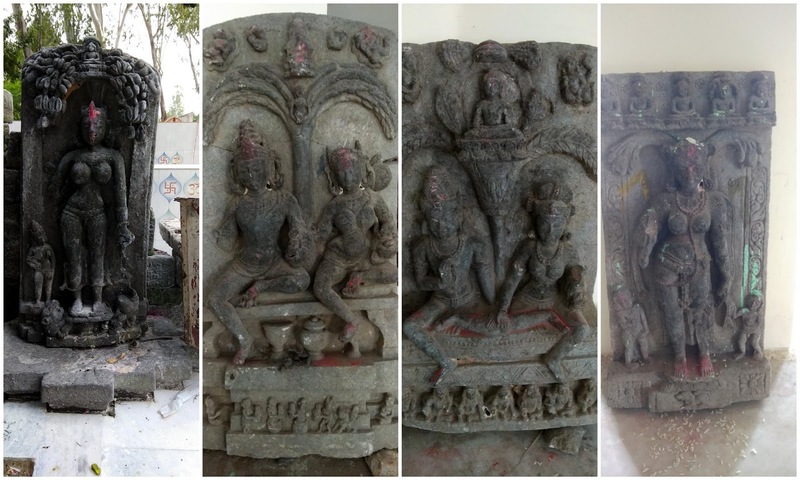 Barmasia – Idols of Lord Adinath, Ajithnath, Chandraprabhu and various chovisis excavated. Paruldiha – A 5ft tall idol of Lord Adinath excavated from a villager’s house which is worshipped as Bhairav. 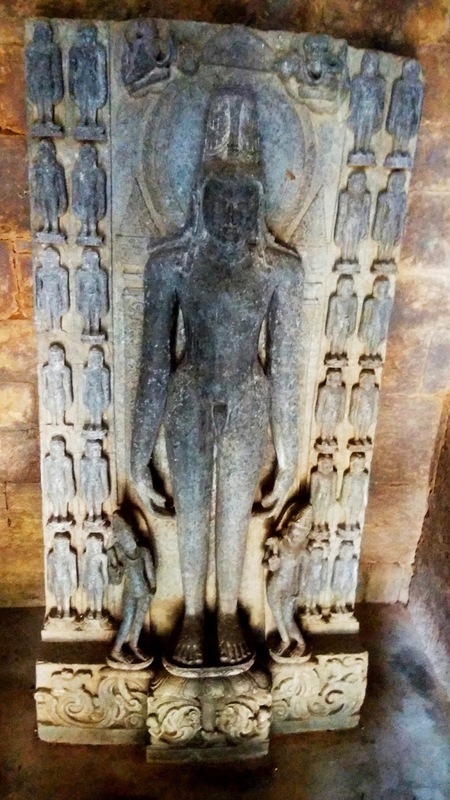 Tusiama – Idol of Lord Adinath excavated. Paglara – Beautiful idol Parshwanath has been excavated which is worshipped by the local villagers as Kaal Bhairav. Despite requests by Jains, regular animal sacrifice conducted in front of the idol. Charrah – Ancient relics of Jain temple excavated. Golamara – Ancient 7 ft damaged idol of Lord Mahavir without hands worshipped as Bhairav by locals. 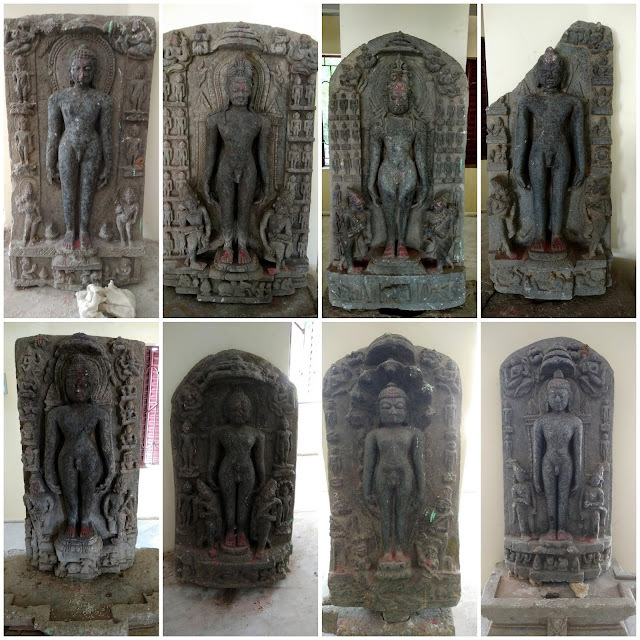 Raghunathpur – 1200-year ancient idol of Lord Parshwanath excavated. 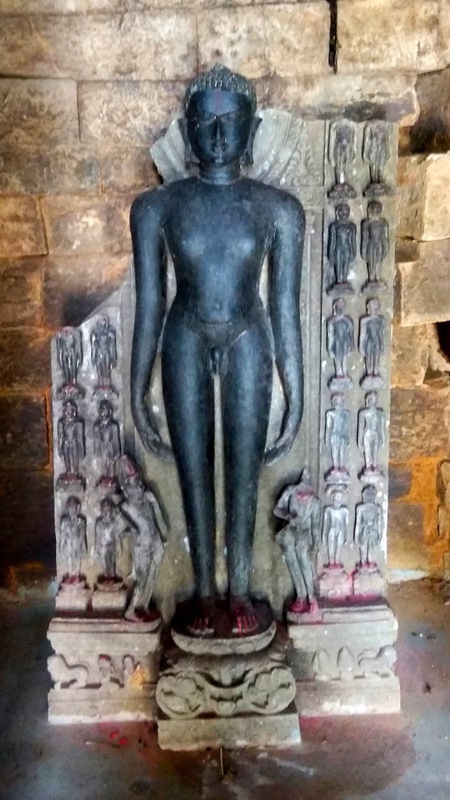 Telkupi – 1200 yr old ruins of Jain temple which was submerged deliberately under the newly constructed dam by Damodar Valley Corporation without allowing any scope for documentation or translocation. Telkupi was a major Jain settlement with temples and other artefacts dating back to the 9th century Pala period. Banda – Ruins of an Ancient Jain temple. 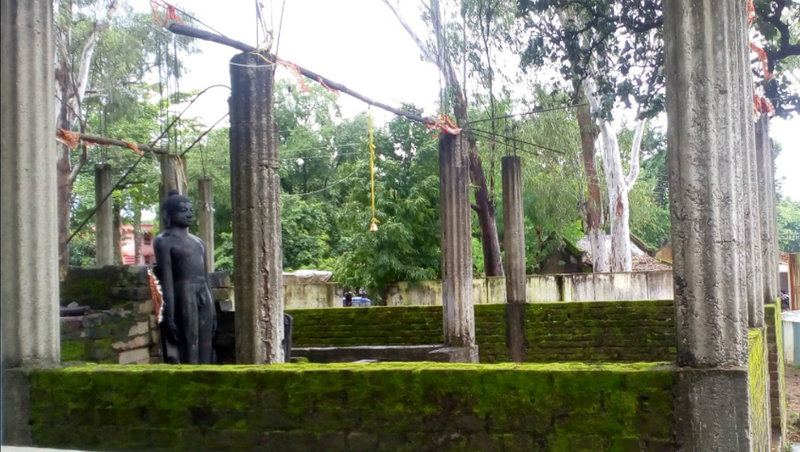 Para – 2 temples and an ancient idol of a Tirthankar worshipped as Bhairav where a sacrificial altar has been newly constructed for regular animal sacrifices. Deulghata – Ruins of beautiful Jain temples. 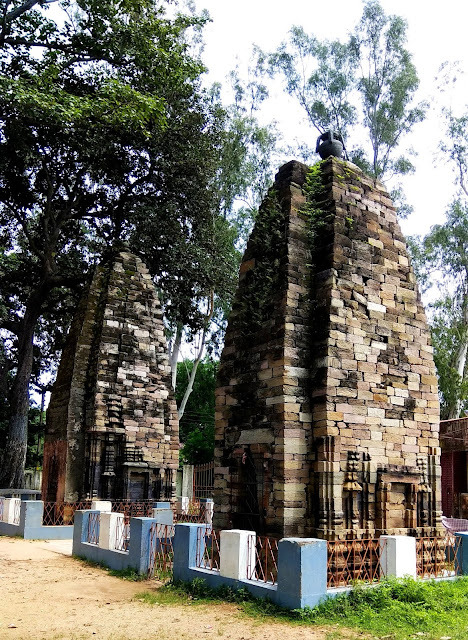 While these ruins recount the glorious past of Jainism, one such village in the Purulia district stands out –Pakbirra (See location here). Situated around 50 kms from Purulia town on the Purulia-Pancha road, this village houses a treasure trove for Jains. 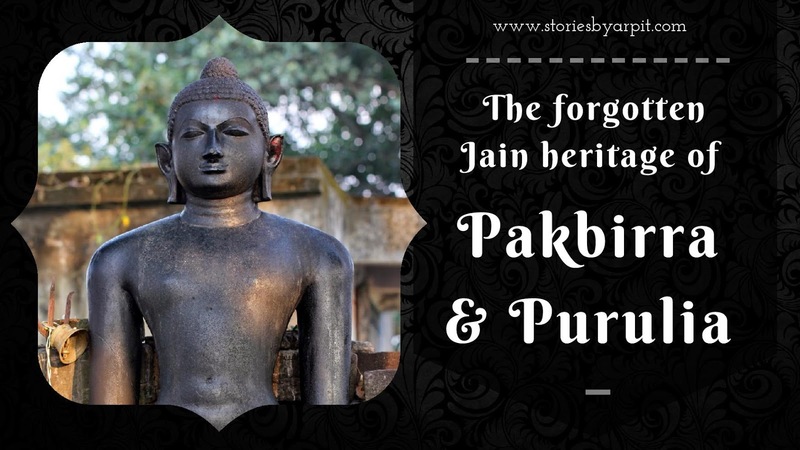 Pakbirra came into the limelight when a plethora of antiquities related to Jains were discovered along with three temples with unique shape dating back to the 9th & the 10th Century AD. More than 100 years ago, Pakbirra was an open archeological gallery, housing several temples and innumerable Jain statues. Today, after utter neglect only three temples remain standing while several priceless statues are turning into ruins. Mr. J.D. Beglar, one of the pioneer scholars of Indian archaeology started to explore the place and what he found was quite amazing. 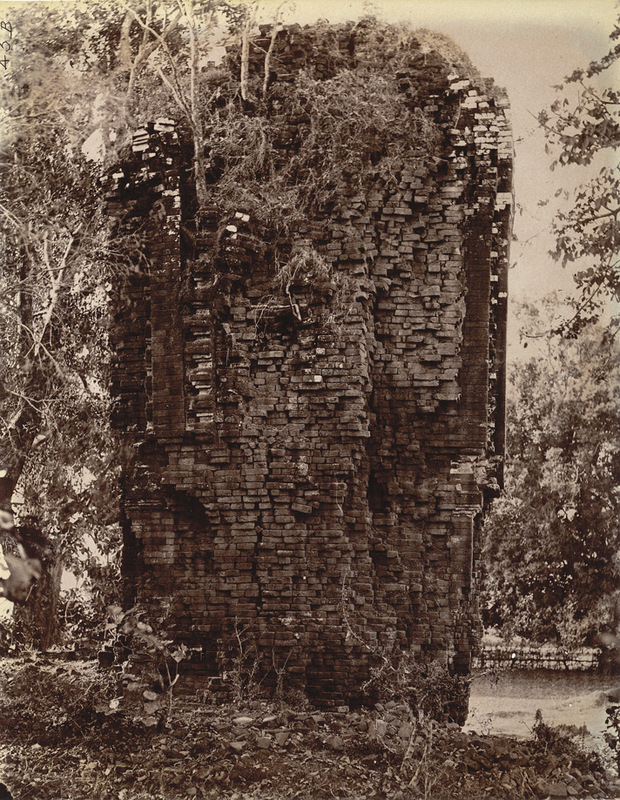 In 1872 when he started exploring the place, there were only 3 temples remaining out of 24. The material used to construct these temples was greenish chlorite stone, which is found in abundance in the area. All the temples are built in ‘rekha deul' style of Odisha school of architecture. In first temple, the entrance is built like a chariot with a corbelled entrance. The second temple also faces north while the third faces east. These temples, buried several feet upto the level of the wall niches, still have some of the lower façade stones, which give an idea of their appearance. The have the basic tri-ratha plan with simplified squad of moldings. The large amalaka fragments lying about, and the stone kalasha’s with lotus buds emerging, make it obvious that most of the temples here belonged to the usual nagara order. The most significant excavation from Pakbirra was an 8 ft high idol of Lord Shitalnath/ Padmaprabhu standing on a lotus flanked by two celestials with fly-whisks. As the idol is now worshipped as Bhairavnath, a Hindu celestial, the forehead and feet are full of oil and vermillion and a trident placed next to him. Along with the large idol, an idol of Adhishtayika devi was also found which has also been kept next to it. 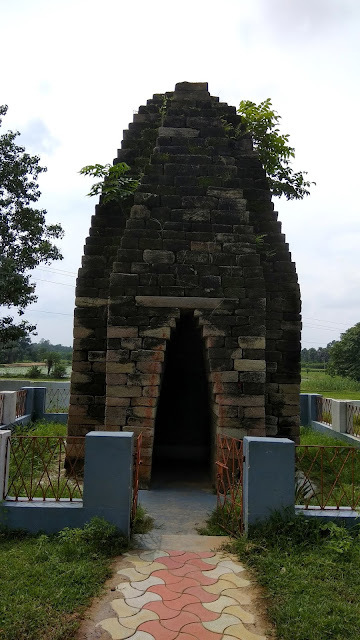 The local population along with the local authorities and the State Government has named this site as “Bhairav Sthan” and a Hindu temple is being constructed where this idol will be worshipped as Bhairavnath. 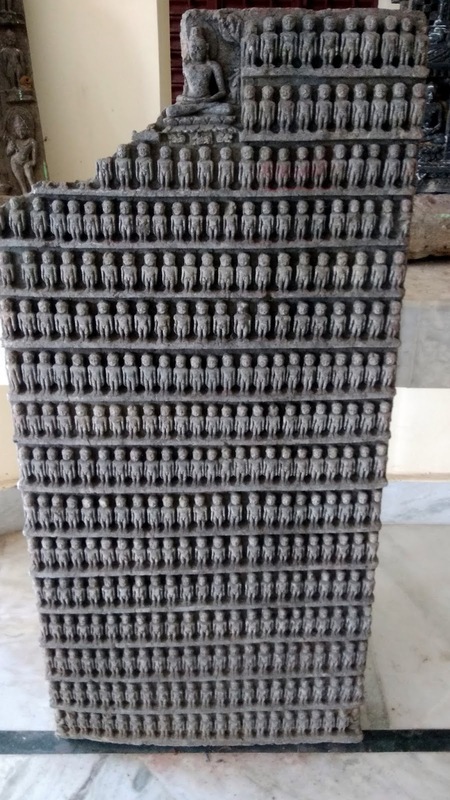 Very soon the remaining traces of Jainism will be lost until the Archaeological survey of India wakes up and takes corrective action. The locals bath here in the nearby pond while the children play cricket creating further damage to this heritage site. The smallest temple facing the east houses a beautiful idol of Shri Chandraprabhu Swami with a Chovisi. Although the idol is not damaged, its Parikar which houses the chovisi has been partially destroyed. The other two temples facing the north, house 2 beautiful and undamaged idols of Lord Adinath and Lord Mahavir each with a Parikar housing a chovisi. 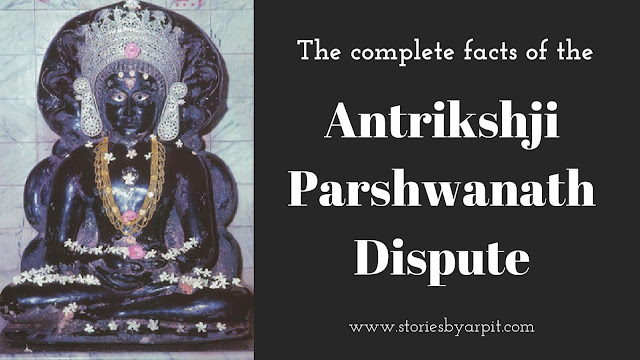 Another idol of Lord Adinath with a Panchtirthi in its parikar is also housed in the third temple. 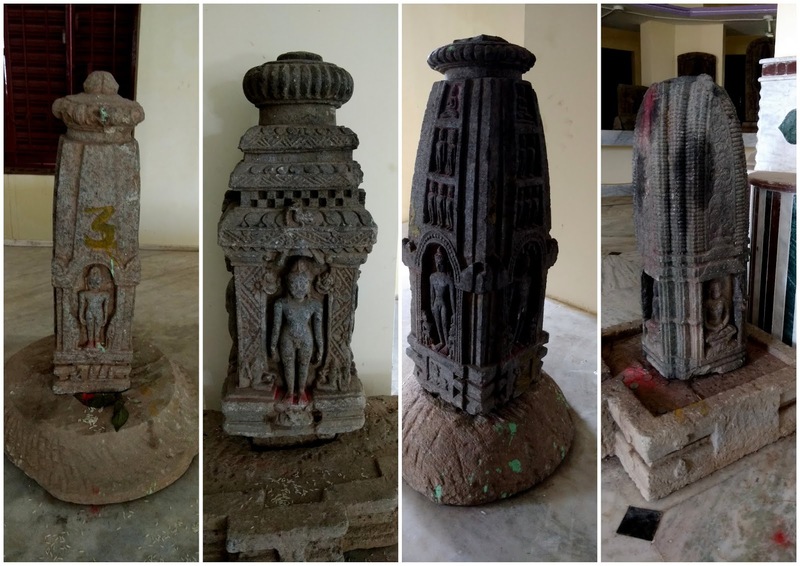 Apart from these, many other idols of Tirthankar’s and celestials were also unearthed, which have now been kept in a room which is planned to be converted into a museum. 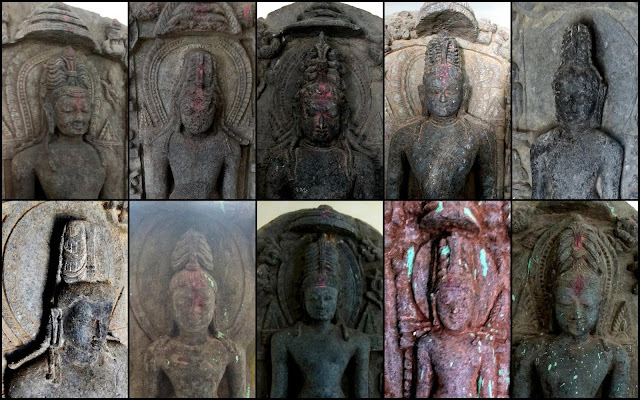 The room houses multiple images of Lord Adinath with different hair designs –see images below (Lord Adinath is represented with locks of hairs as when the Lord was plucking his hairs before Diksha, Indra dev requested him that they looked divine and not to pluck them). While these ruins at Pakbirra are being looked after some members of the Jain community, we still have a far way to go to preserve our heritage. It has to be preserved soon, otherwise no trace of our roots will be left in this region. 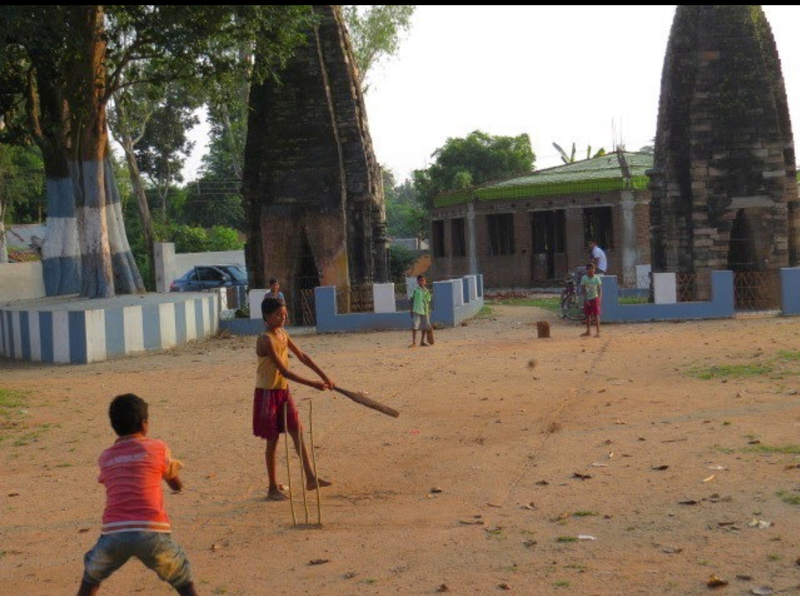 Purulia is around 270 kms from Kolkata and is accessible by Road, Train and Bus. By road, Purulia can be reached via NH 314 and SH 2 from Kolkata. Regular trains like Howrah Chakradharpur Express and Rupasi Bangla ply to and from Kolkata. 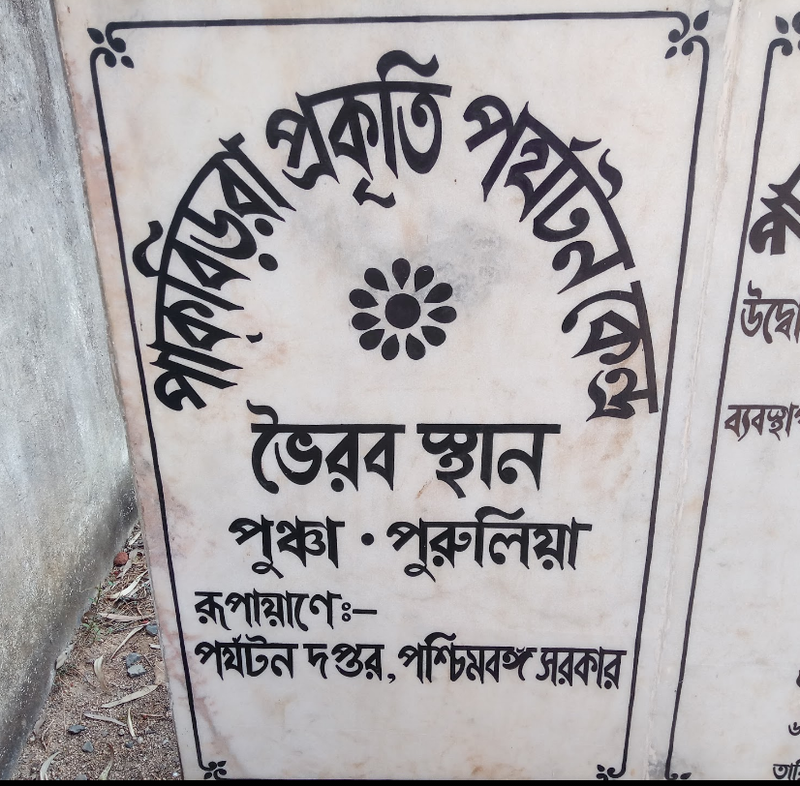 Shankheshwarpuran Jain Tirth (SH5, Sankra, WB 723126. Click here for location), constructed under the guidance of Acharya Muktiprabh Surishwarji Maharaja and Acharya Vinitprabh Surishwarji (Mohansuri Samuday) is situated in Sankda village near Anara Jn. which is 25km from Purulia and 52km from Pakbirra. 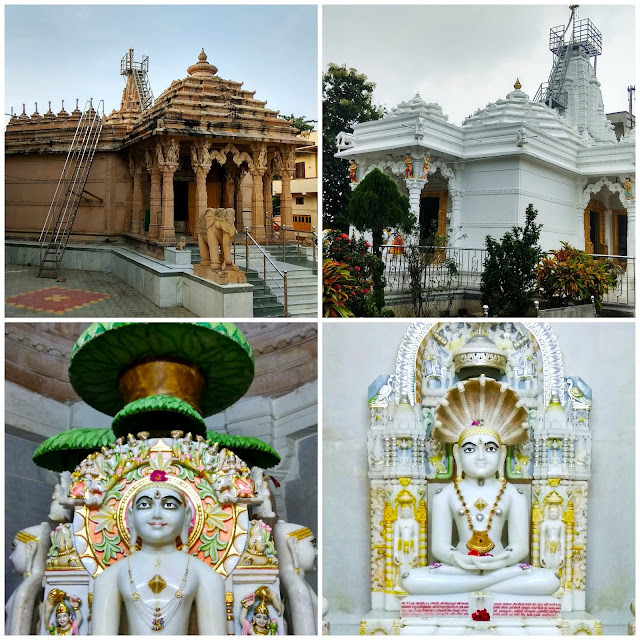 The complex houses 2 beautiful Jain temples and has lodging facilities along with a Bhojanshala. However, prior intimation is important. Contact – 9932542001. You are doing good work, bro. Looking at your orientation, you may also like to visit Ahichhatra in UP, Gopachal Parvat, Gwalior Fort, MP and Mangi Tungi in Maharashtra. If you are interested i can share many more. I am also into searching and doing jatra to many such odd locations. From kolkata about 25 f us are planning to visit Purulia as Jain Teerth. Could you share your number and build us a road map to make it easier for us? We will be taking 25 seater bus and will also have elderly people with us.